We think this is the perfect hire chair for summer weddings. New to our event furniture hire collection, the cross backed dining chair manages to complement a vintage vibe but also looks fabulous within a classic white wedding. The dining chair is supplied with a matching seat pad and creates a softer look than a standard banqueting chair. 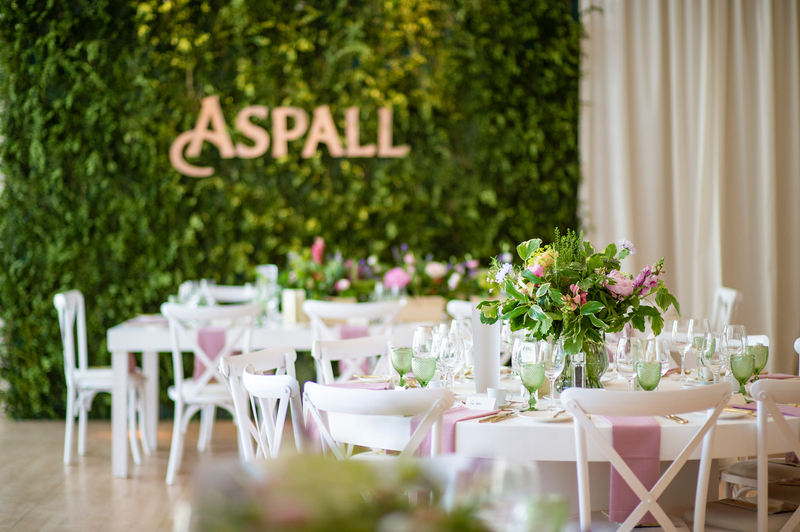 The cross backed dining chair is featured here at the Aspall Tennis Classic at the Hurlingham Club in London. 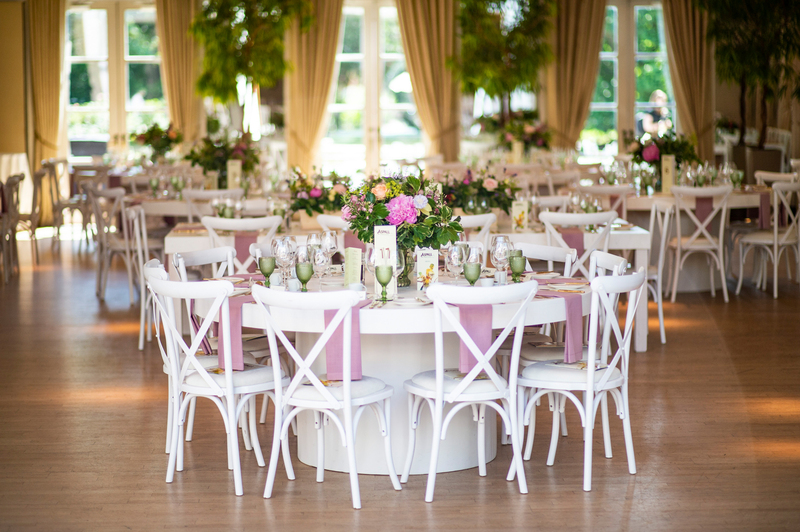 As part of the exclusive hospitality area at the club, the chairs were paired with white washed wooden tables and living foliage walls for a smart summer garden party feel. Within this range, we also hold a large stock of matching bar stools available to hire for any event.